It is imperative for investors deciding to include a hotel in their portfolio to know why they are doing so. JYI Hospitality can help make experienced, educated assumptions about future market conditions and implement a plan to deal with those ever-changing conditions. JYI Hospitality has over 30 years' experience in helping investors in identifying an opportunity, formulating a plan for it, and then proceeding to evaluate the possibly of acquiring the hotel. JYI Hospitality realizes that a hotel is both a business and real estate investment and therefore needs to be scrutinized by those familiar with the hotel industry. Markets will change  That is a given. JYI wants the buyer to understand both property and market dynamics BEFORE purchasing the hotel. Once a property has passed our rigorous screening process, JYI can perform a preliminary property and market analysis to establish an initial bid price. 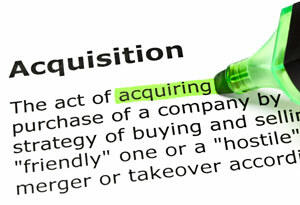 Due diligence of the targeted hotel is a must that is often overlooked by investors thinking they know the business. JYI Hospitality has vast experience in handling financial, marketing, engineering and environmental audits, just to name a few, that are needed to ensure you make a sound educated decision before purchasing a hotel. CALL JYI Hospitality Management & Consultants TODAY, before it's too late!